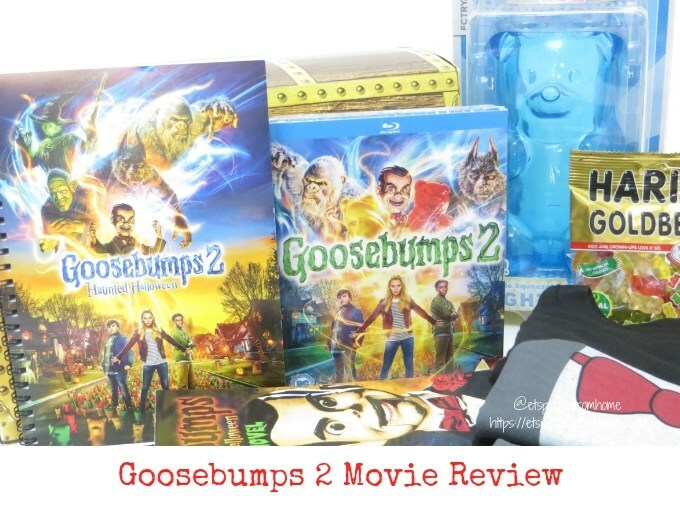 To celebrate the release of Goosebumps 2 on Blu-ray & DVD that is out today, yesterday we had a fun watch-along Twitter party along with a few fellow bloggers. Not only that, we were set up by Sony Pictures to do three challenges to win some awesome prizes! Did you manage to join in with us? We face painted Mr K and the evil gummy bears have been plotting to take over the Minecraft island! The very much loved Teen Titans GO! To The Movies will be available to buy on DVD & Digital download this coming Monday 26th November 2018 and will be available on Blu-ray exclusively at HMV! To celebrate the theatrical release of Teen Titans GO! to the Movies, we were gifted an early copy of the DVD and to host a fun, Christmas themed home screening of the film! 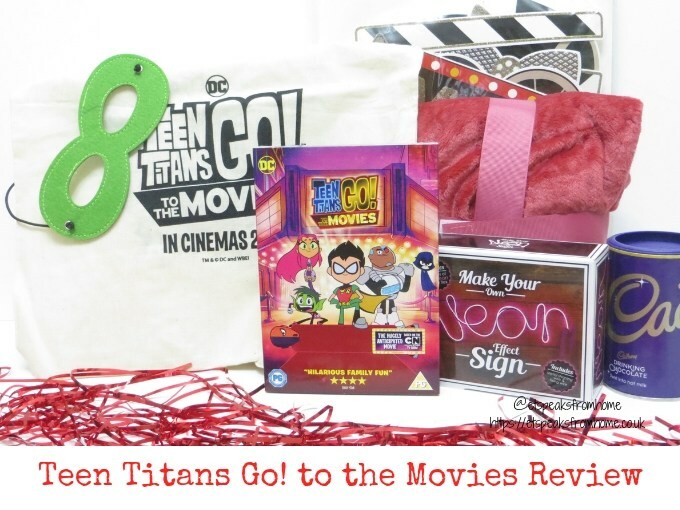 Thanks to Warner Bros, we also received an exciting bundle of goodies, including popcorn, masks and Teen Titans merchandise. We were all super-excited! We had watched it in the cinema back in August and loved it. There are a lot of funny moments for young and old and we found ourselves humming their catchy songs after the movie too. Now let’s skip the squabbling, grab a bucket of popcorn and get ready for the ultimate Halloween which will have the seal of approval from the whole family. As my children are getting older, they are less and less keen to go Trick or Treating and getting dressed up for the occasion, so staying indoors watching a good film has become a norm. We are very much loving spending time at home to stay warm and cosy too, especially over the weekend! Of course, not forgetting to have plenty of snacks and a takeaway for an extra treat! With these great titles, this half term and Halloween are sorted! We also like to bake yummy cookies and decorate it with Halloween theme colours! Baking is one of Ms C’s favourite pastimes and it is a great way of spending time together! Last Saturday, we were celebrating Beatrix Potter’s birthday and the release of the Peter Rabbit movie on Digital, DVD and Blu-ray, which is available to buy now in good retailers, supermarkets and online! 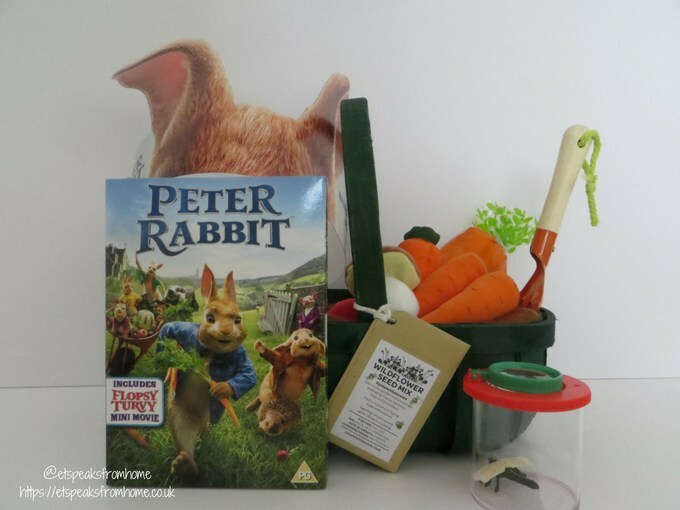 We have received this cute exclusive party pack from Sony Pictures, which contains the baskets filled with soft toys, seeds, garden fork, popcorn and DVD to watch at home. 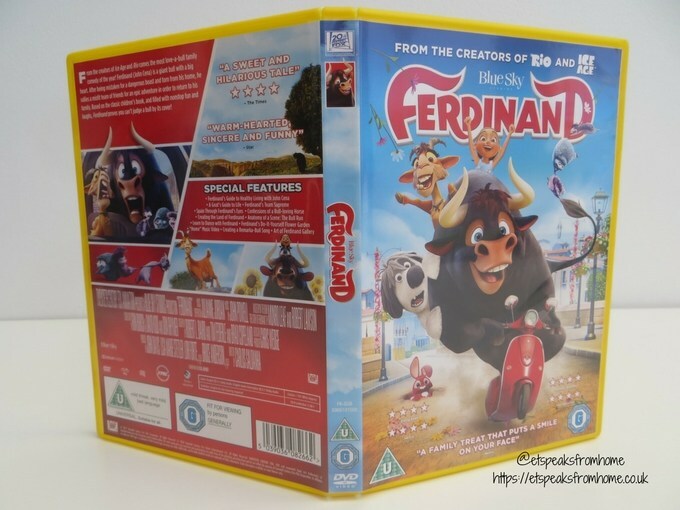 Ferdinand, the most love-a-bull family animation of the year, cattle-pults its way to Digital Download on 10th April and 4K Ultra HD™, Blu-ray™ & DVD on 16th April available from good DVD retailers and online. 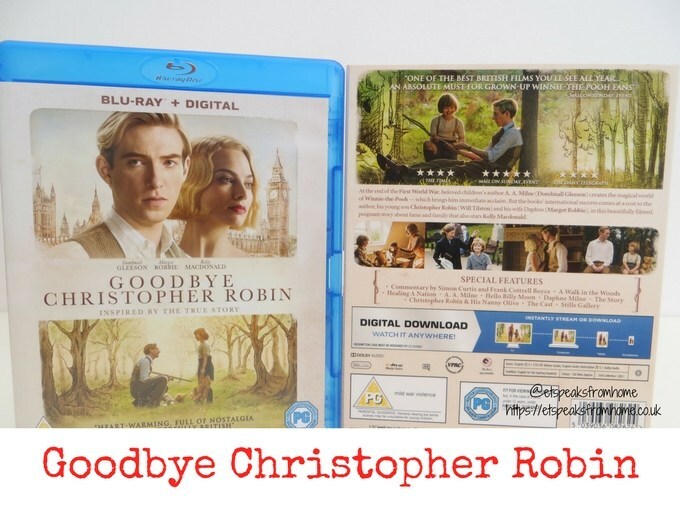 Goodbye Christopher Robin is available to buy now on DVD & Blu-ray from good retailers and Amazon. This movie gives a rare glimpse into the relationship between beloved children’s author A. A. Milne and his son Christopher Robin. His toys inspired the magical world of Winnie the Pooh which grasps the attention of not just Britain, but the entire world, as everyone falls for the warm, soft, fuzzy bear who conquers our hearts just as much today as he did back then. 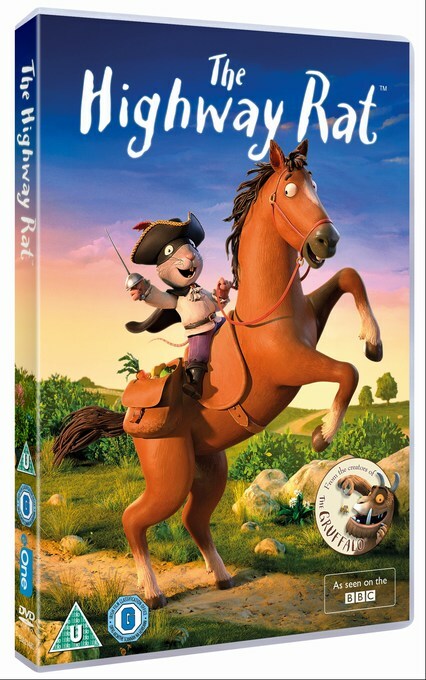 The Highway Rat is available to buy now on DVD from good retailers and Amazon, courtesy of Entertainment One. This is a short adorable animated film based on the richly imaginative book written by Julia Donaldson and illustrated by Axel Scheffler. Spider-Man Homecoming is out now to buy in good DVD retailers and Amazon on Blu-ray, DVD and digital download. 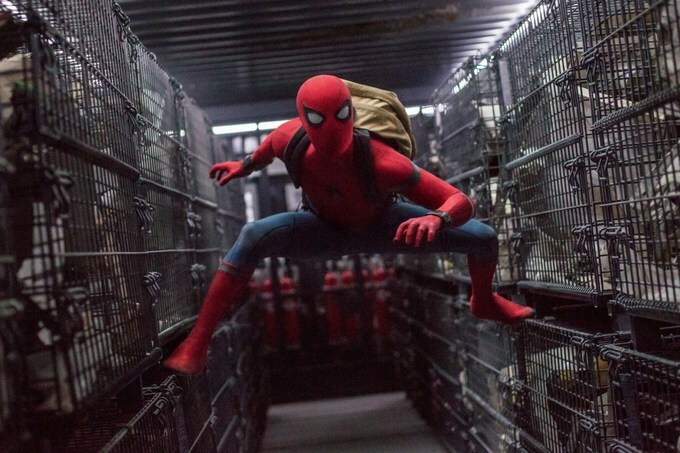 Spider-Man: Homecoming is a 2017 American superhero film based on the Marvel Comics character Spider-Man and this is the second Spider-Man film reboot. 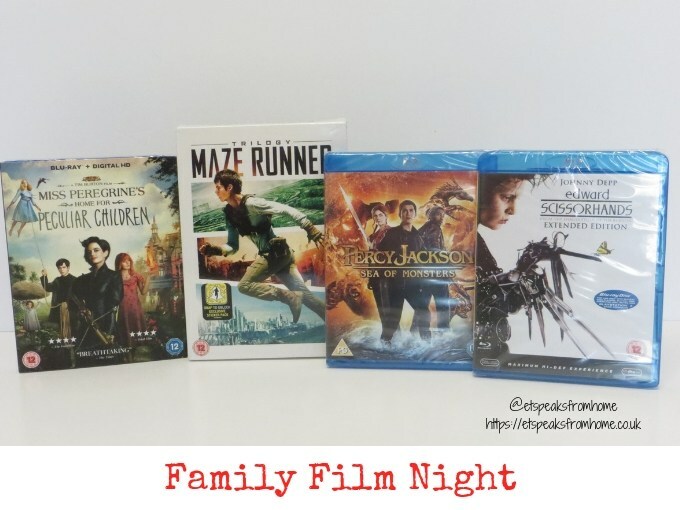 This half term, we had a family friendly Halloween movie night in. 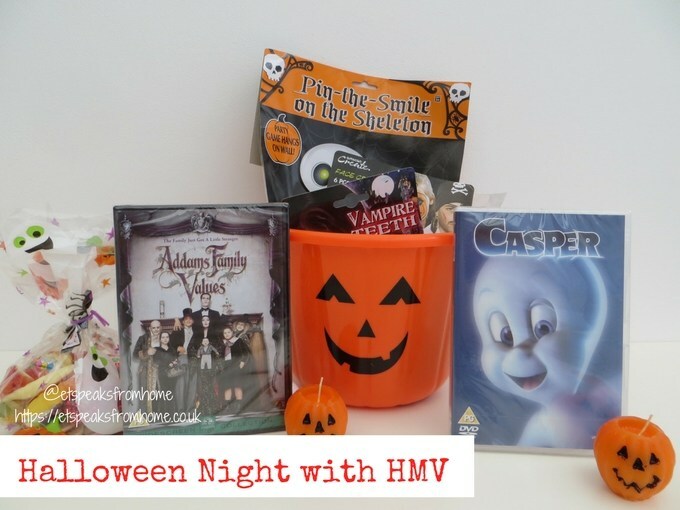 Thanks to HMV sending us a box full of sweets, balloons, face paints, fangs, candles, a game, Casper DVD and The Addams Family Values DVD to help us to start this ultimate family night in! My children have been kept entertained this May half term, thanks to Warner Bros who sent us this Scooby-Doo DVD bundle. They are the 13 Spooky Tales range which contains two discs with 13 animated episodes: For the Love of Snack, Surf’s Up Scooby-Doo, Ruh-Roh Robot and Run for your Rife plus Pirates Ahoy! movie. 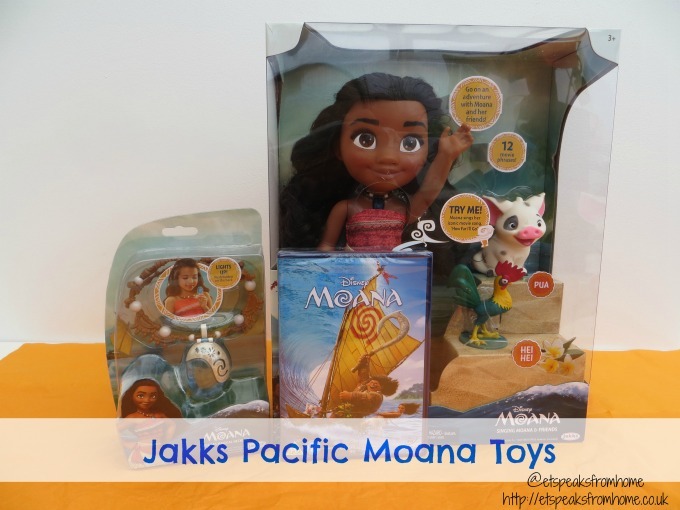 To celebrate the recent release of Moana on DVD, we received a fabulous package from Jakks Pacific. We need to host a night in! Disney Moana is a 2016 American 3D computer-animated musical fantasy comedy adventure film produced by Walt Disney Animation Studios and it was released in December 2016. We had already watched it at the cinema with Ms C and she loved it. Let me share with you how we are going to make 2017 Your Year of Adventures! 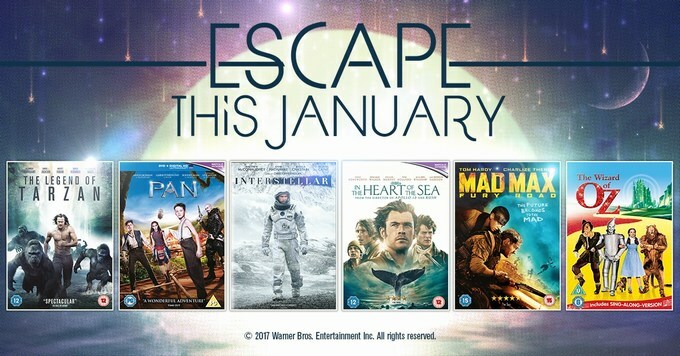 Can you believe that it is going to be the end of January already? Time just passes us so quickly that if you snooze, you lose. We have been carefully planning the year by filling it with exciting adventures for our little family. 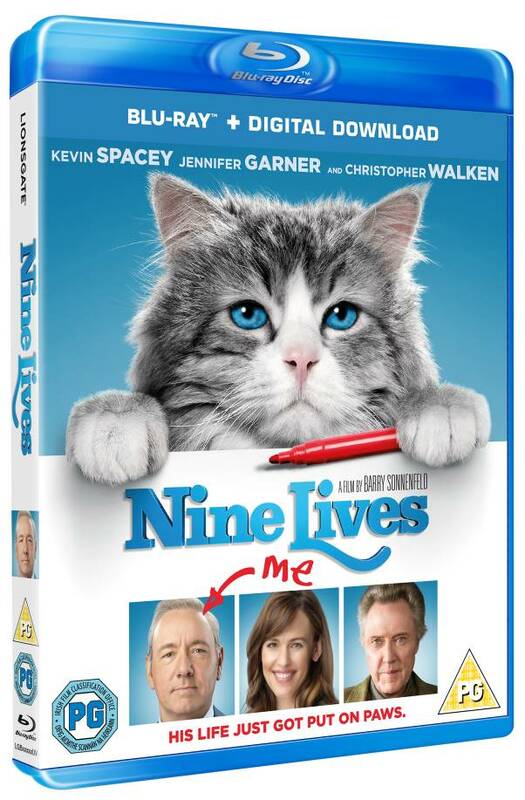 Nine Lives, the hilarious and wacky film starring Kevin Spacey, is available to buy on Blu-ray and DVD, courtesy of Lionsgate Home Entertainment, in good stores and Amazon. Have you got your copy yet? We’ve got ours and really enjoyed it! 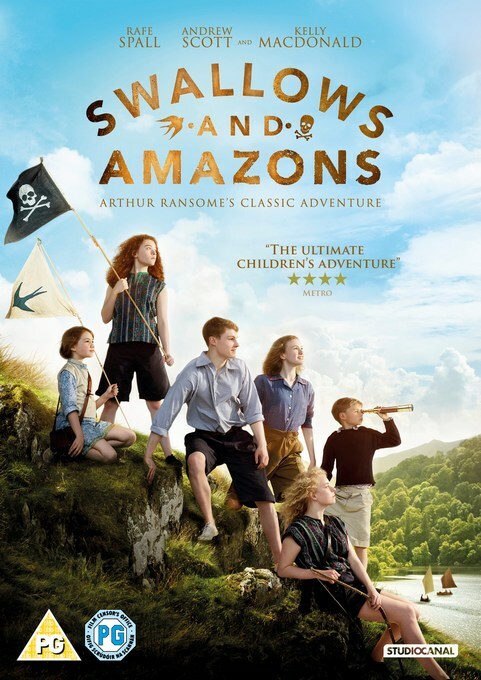 Swallows and Amazons, adapted from the classic children’s tale by Arthur Ransome from 1930, is out from 12th December 2016 on Blu-ray, DVD & digital download, courtesy of Studiocanal. This enchanting family adventure is set in the breathtaking British countryside. Happy Halloween everyone! Last week, we had a fabulous Halloween sleepover watching Scooby-Doo and his gang in their first Lego movie! 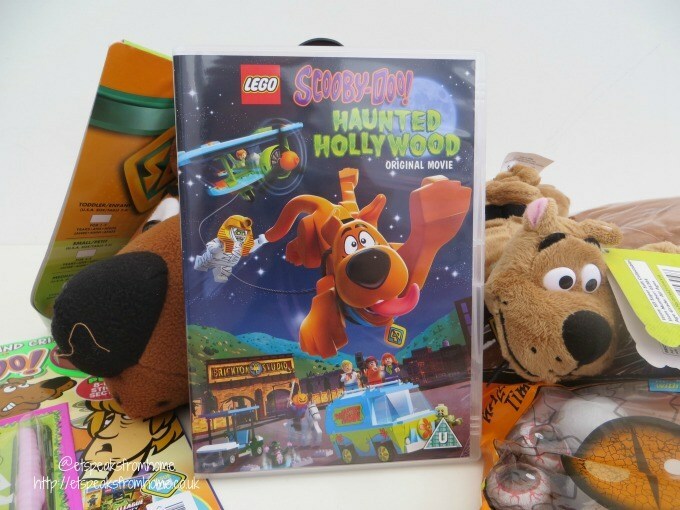 LEGO Scooby-Doo Haunted Hollywood Movie is a full length, animated movie which is available to buy from high street stores and Amazon.